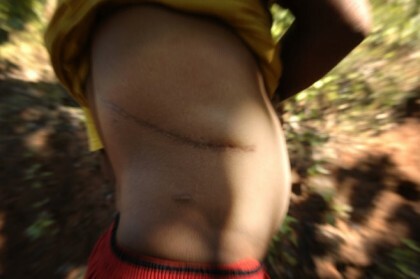 A shocking inquiry into the global human organ trade that lures vulnerable donors into illegal operations with false promises of jobs or money, then smuggles their organs via criminal networks to corrupt medial officials and clinics. H.O.T. exposes the mediators, the organ hunters and smugglers, talks to surviving donors, and interviews the surgeons who claim they know nothing of the crimes they commit. Geoffrey Koffman is a consultant transplant surgeon of 25 years experience and Head of the Renal Transplant Units at Guys Hospital and Great Ormond Street Childrens Hospital, London. He has served as Secretary of the British Transplantation Society, and supervises the largest living donor programme in the UK. Sally joined NHSBT in September 2008. Previously she was Programme Director responsible for achieving clinical reconfiguration across four South East London Acute Hospital Trusts. Before that she was CEO of Enfield Primary Care Trust for six years. She has also led reviews of seven Ambulance Trusts in South East England and of the NHS contribution to the 2012 Olympic Games.